The Great Smoky Mountains is one of America's most popular vacation destinations. Situated right in the heart of the Smoky Mountains, Pigeon Forge, Gatlinburg, and Sevierville offer a boat load of things for lovers to do on a honeymoon. 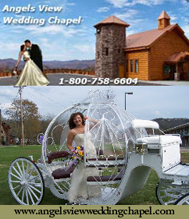 It is one of the best honeymoon spots in the U.S.
Would you like Smoky Mountain Wedding Information? CLICK HERE | Looking for a Mountaintop Wedding? CLICK HERE! A Smoky Mountain wedding is one to remember. Everything is at your fingertips for small or large weddings -- luxury honeymoon suites, romantic cabins with Jacuzzi and awesome views, beautiful wedding chapels, restaurants with private dining rooms, in-cabin weddings, florists, caterers, limousine service, and many unique places for a beautiful wedding ceremony. Persons planning to be married in the park need to obtain a Special Use Permit (SUP). A $50 nonrefundable application fee will be charged for wedding permits and all other special event-type permits. No other charges will be incurred for weddings that follow standard procedures and conditions, i.e., criteria that includes maximum number of people, cars, designated areas. Other types of permits, including weddings that vary from the standard procedures, will also be charged a $150 permit fee (for a total of $200) if the application is approved for a permit. The new fees are intended to comply with Congressional direction and NPS policy with regard to recovering costs associated the special park use activities. The fees charged for the SUPs and CUAs go towards administering and managing the permit process and activities. First Amendment activities require a Special Use Permit but are except from fees. To have your ceremony at any of the historic structures such as the Primitive Baptist or Methodist Churches in Cades Cove, contact the Park's Ranger Activities Division (423-436-1266) to request an application for a permit. There are a few guidelines you need to keep in mind. Because the historic structures in the Park are of wood, no candles or lamps are permitted. Parking is very limited (6 parking spots at the Baptist Church, for example). An application to marry in Cades Cove must be submitted to the Cades Cove Center. If you want to marry anywhere else in the Park (on a mountain top, for example), a permit is required if you have more than 20 people in your party. Finally, you must understand that even if you have a permit for a ceremony in the Park, you don't have a reservation in the sense that persons outside your party (tourists) are excluded. They have unfettered access to the premises. Most are courteous enough, though, to keep their distance. Applying for a Tennessee Marriage License - No Waiting Period! No Blood Test! You must be at least 18 years of age. Each party must present either a Valid Driver's License or a Certified Birth Certificate, or a Valid Passport. If your Driver's License does not list your social security number, bring your social security card with you to the Courthouse. Once you apply or your Tennessee marriage license, the license application is good for a period of 30 days. If you are not married within the 30 day period, it will be necessary for you to re-apply for the marriage license. Since there is no waiting period, you can apply for your Tennessee marriage license and be married the same day. If you have been divorced and taken back your Maiden Name and your current driver's license does not reflect your Maiden Name, it will be necessary for you to bring your Divorce Decree indicating the name change when you apply for your Tennessee marriage license. Out of State Residents: The cost of a Tennessee marriage license in Sevier County, Tennessee for out of state residents is $45.00. If an out of state resident applies at any other courthouse in Tennessee, the cost is $105.00. You must pay in cash only. Tennessee Residents: ($45.00 - $105.00) The cost of a marriage license for Tennessee residents is $45.00 if you complete a 4-hour marital counseling class held by a qualified counselor or minister and present a certificate of completion upon application of your marriage license. If you do not complete the counseling course the cost is $105.00. Check with your local Courthouse for specific information about the counseling course offered. 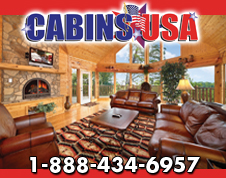 Hours vary during Holidays - Contact them for specific dates and times. Saturday 8:00 a.m. - 11:00 a.m.
Saturday Only: 9:00 a.m. - 5:00 p.m.
*License fee and requirements are subject to change without notice.